We discuss Stan’s upcoming trip to South Africa as well as some of the interesting hop growing going on now in South Africa. We begin a discussion on hop oils including the three major groups: hydrocarbons, oxygenated hydrocarbons and sulfur compounds that together make up only 1-4% of the hop cone. We discuss oxygenated compounds like linalool and geraniol which are more soluble and also aromatic. These also have the interesting characteristic of often being transformed during fermentation, and are therefore well utilized in whirlpool or steeped hopping at the end of the boil. Stan explains some of the biotransformations that take place during fermentation. We talk about sulfur compounds which make up less than 1% of the weight but play an important role in tropical flavors that have become popular in many recent IPAs. Stan also shares some recent research in hop blending where blending oils from several different hops can duplicate certain other hop combinations and even create new unique flavor compounds. He shares his thoughts on upcoming hop research as well as aromatic hop oil extracts which have become popular. 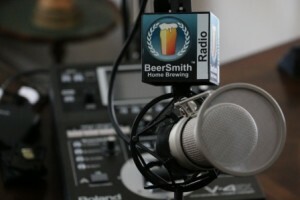 Stan shares his closing thoughts, and we briefly discuss his books, website and newsletter on hops. Brad, I really have enjoyed your podcasts since I started listening about a year ago. I found this interview with Stan very fascinating and was curious to know if you or Stan has a list of the hop combinations he spoke about during the second half of the interview? If possible, could you share that list of different hop combinations and blending? I don’t have a record of it but you might want to check Stan’s blog (and newsletter) both of which are linked in at his web site in the show notes above. Looking at their spidergrams, 60/40 Eureka/Apollo looks a pretty close shout for Citra, and I wonder if something like 2:1 Eureka/Chinook might not be even closer. Eureka is the only one of theirs that gives that tropical element, so it has to figure quite highly.